New Delhi, Apr 10: There are 35 candidates from the Congress who have declared pending criminal cases against them. Out of the 83 candidates analysed, 35 with pending criminal cases are fighting in the first phase of the polls. New Delhi, Apr 06: 216 candidates out of the 1,266 who have filed their nominations have pending criminal cases against them. The National Election Watch and Association for Democratic Reforms (ADR) have analysed the self-sworn affidavits of 1266 out of 1279 candidates, who are contesting in the Lok Sabha Phase I. There are 13 candidates who have not been analysed due to unavailability of their properly scanned and complete affidavits, at the time of making this report. No minister has declared criminal cases against them in the newly elected Meghalaya legislative assembly states a report by the Association for Democratic Reforms. The AIADMK will go to the polls this year with 43 candidates who have pending criminal charges against them while their arch rival DMK has fielded 24 such candidates, according to a report by the National Election Watch. 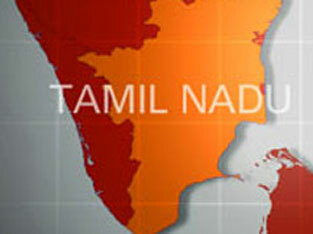 The report has been prepared on the analysis of 679 candidates so far in the Tamil Nadu 2011 Assembly Elections. There are 125 candidates out of 679 analyzed, (i.e. about 18.4%) who have pending criminal cases against them as per their self sworn affidavits given to the Election Commission. Out of these 125 candidates with pending criminal cases, 66 have declared pending serious criminal cases like murder, attempt to murder, kidnapping, robbery, extortion etc. on them. All major parties analyzed have given tickets to candidates with criminal backgrounds. AIADMK has 43 out of 144 (30 %), DMK has 24 out of 111 (22 %), BJP has 19 out of 169 (11 %), PMK has 14 out of 27 (52 %), DMDK has 7 out of 36 (19 %), INC has 6 out of 54 (11 %), VCK has 3 out of 6 (50 %) and CPI(M) has candidates with pending criminal cases. All major parties have also given tickets to candidates with serious pending criminal cases like murder, attempt to murder, theft, dacoity etc. in the Tamil Nadu 2011 Assembly Election. Of the candidates analyzed, AIADMK has 27 , BJP has 10 , DMK has 9 , PMK has 6 , INC has 5 , DMDK has 2 , VCK has 2 , CPI(M) has 2 , PTP has 1 , BSP has 1 such candidate. M Muruganandam (Nagapattinam )of the BJP has a total of ten cases ranging from attempt to murder and dacoity. J Gurunathan of the PMK from the Jayankondam constituency has 9 cases ranging from voluntarily causing hurt and promoting enemity. Raja of the DMK from the Anthiyur constituency has 4 pending cases ranging from theft to abduction. P G Bose of the BJP fighting from the Didigul constituency has 4 pending cases which include attempt to murder. R Elango of the BJP from the Peravurani constituency has 2 pending cases against him ranging from obscene acts and attempt to murder. When it comes to the richest candidates the AIADMK again leads the pack with 75 crorepati candidates while the DMK has 73.The Congress and the BJP come third and fourth with 33 and 25 candidates respectively. The DMDK and the PMK have 12 and 11 such candidates respectively. Doraiswamy R of AIADMK is worth Rs 27 crore. Easter Rajan S of MGRSP has no assets. RR Jeyram ( DMDK), Marthanandan, Manidhan and Karupanannan ( all independents) have shown zero assets.